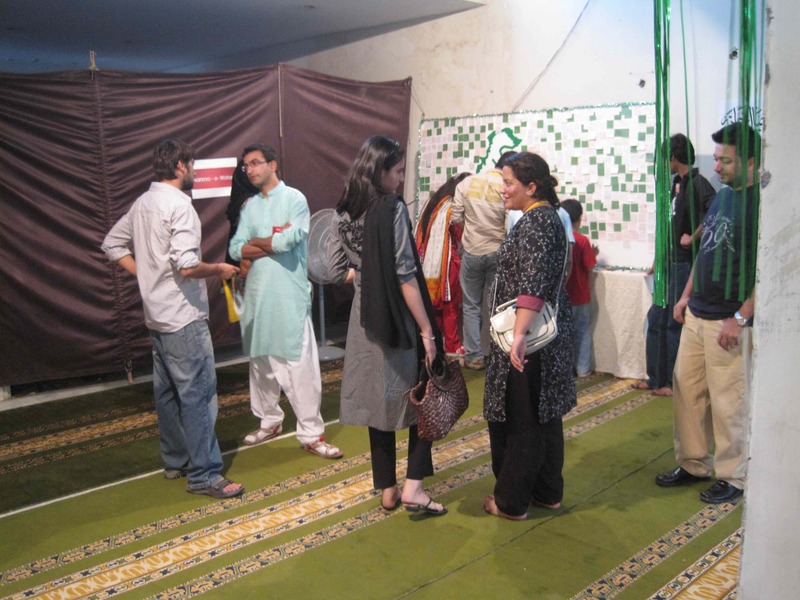 The second Shanaakht Festival – the Identity Project, was organized by Citizens Archive of Pakistan (CAP). 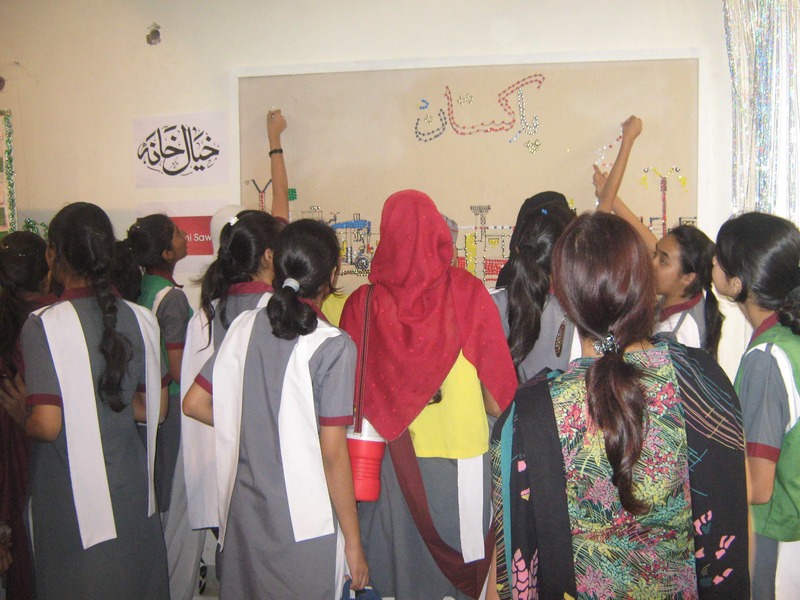 On the first day, Vasl curated the Sohni Dharti II exhbition and conducted interactive activities in which English texts were distributed and then translated in Urdu to be read in public. 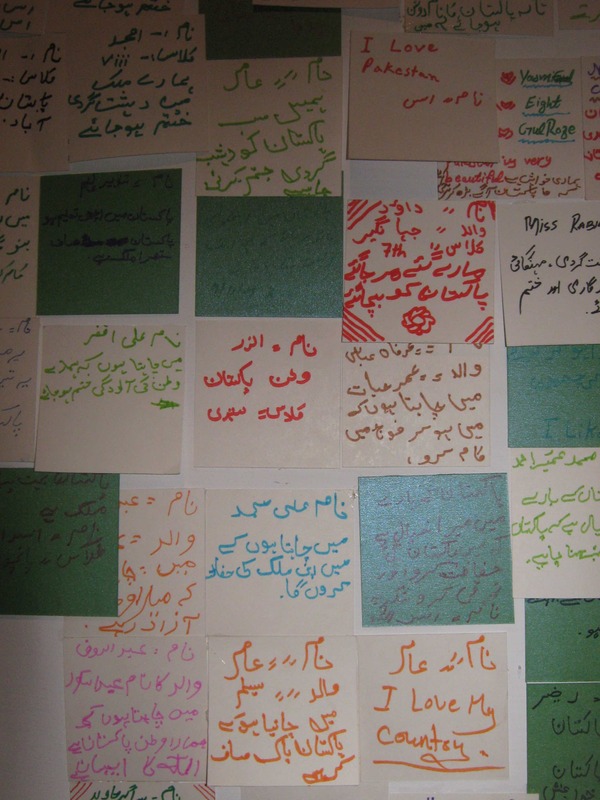 The text was written by visiting artists Brad Butler and Karen Mirza. 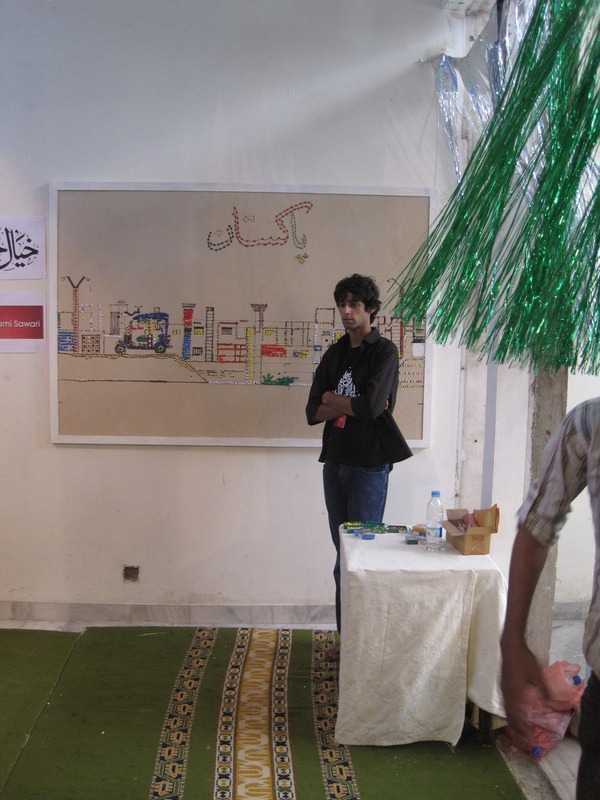 Khayal Khana, under the banner of the Vasl Artists’ Collective, carried out three public art activities at the Shanaakht Festival, at the new premises of the Imperial Hall, Karachi. 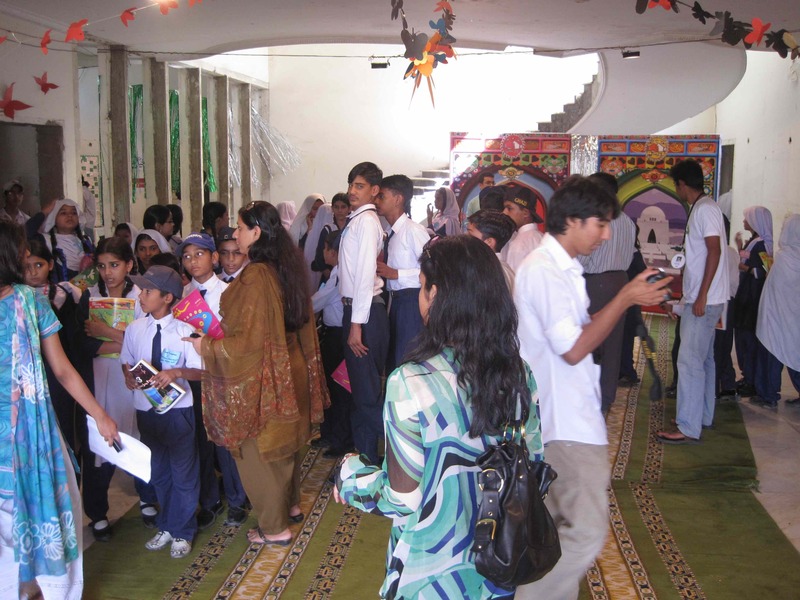 Children and adults both took part in these activities, with 8000 visitors and 3000 participating students from government and private schools. 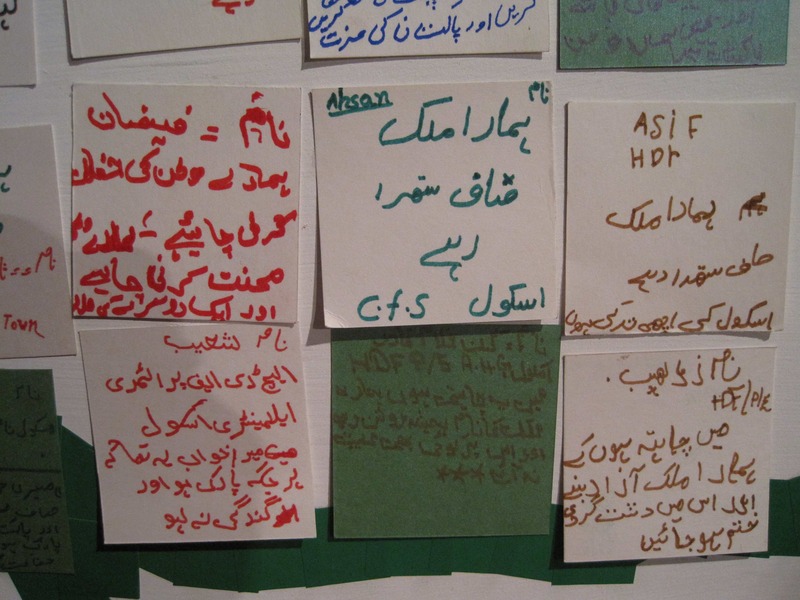 These activities were interactive and focused on national identity. 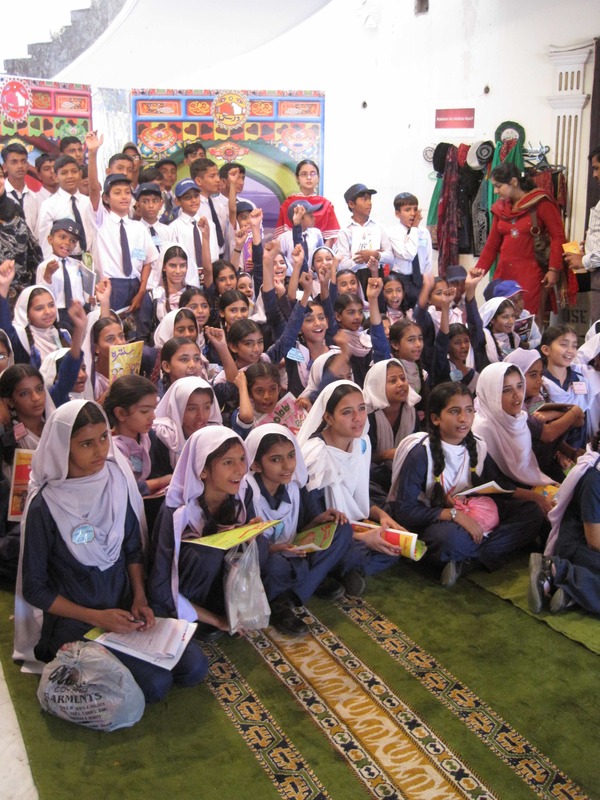 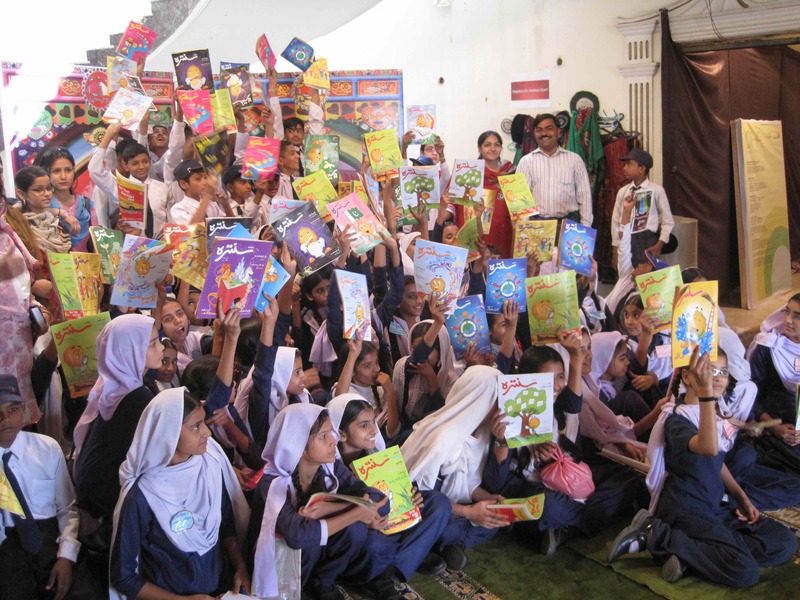 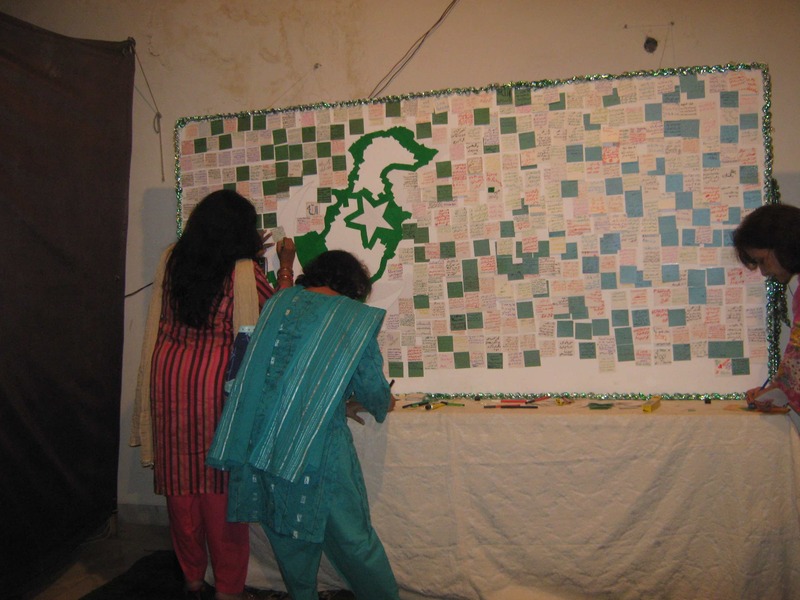 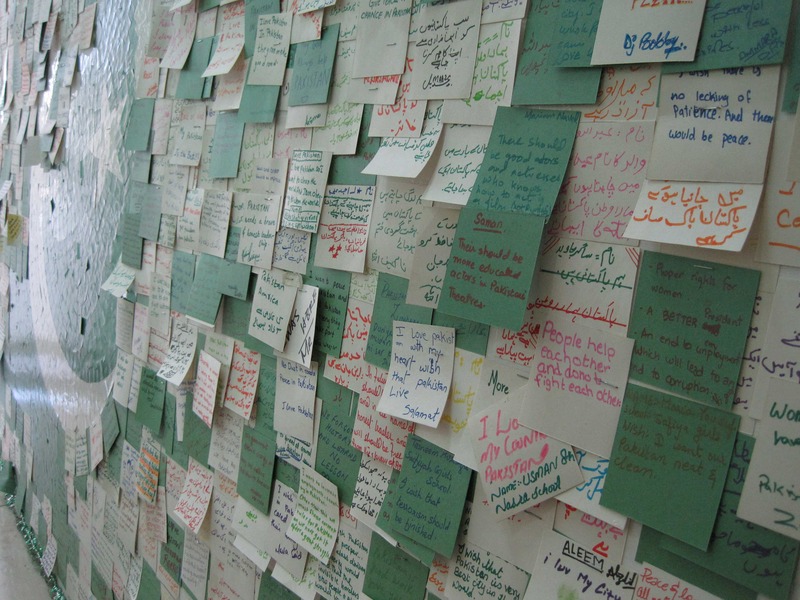 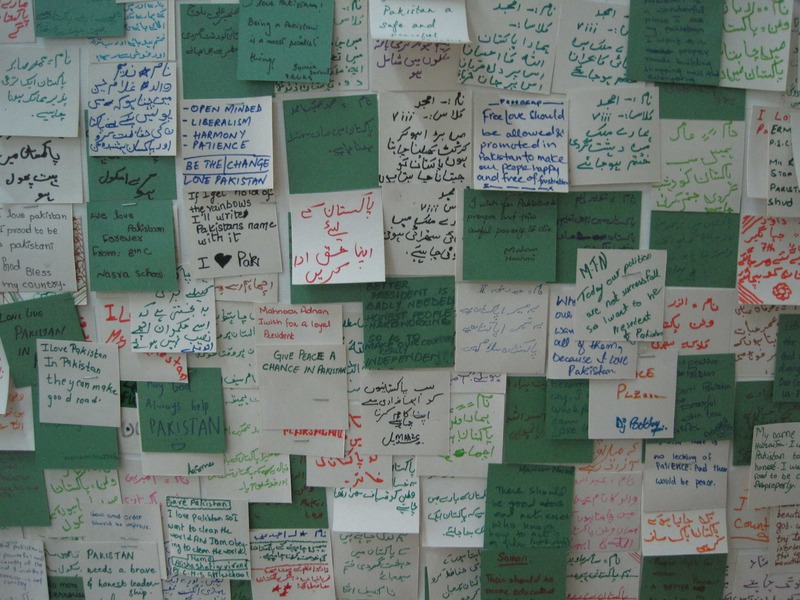 Arzo-e-Watan, one of the projects, gave a chance to individuals to write down their wishes for their country. 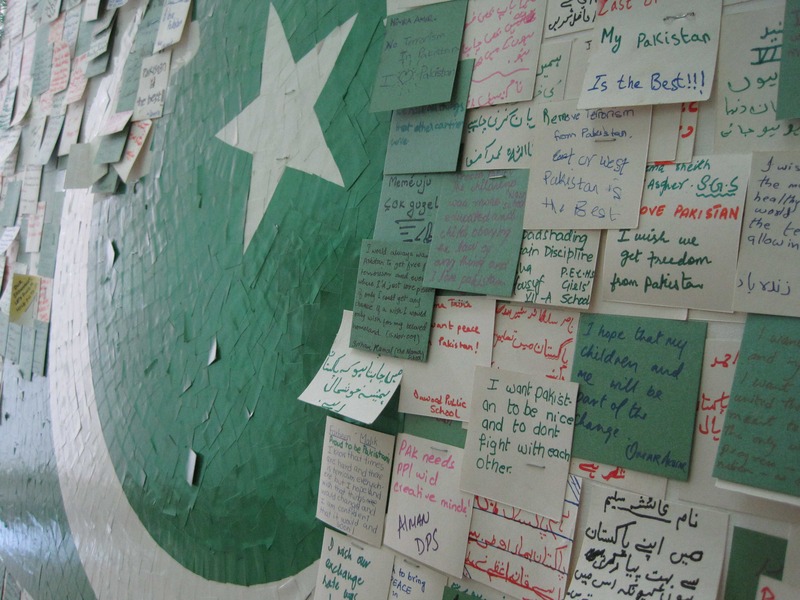 Another project What makes you Pakistani? 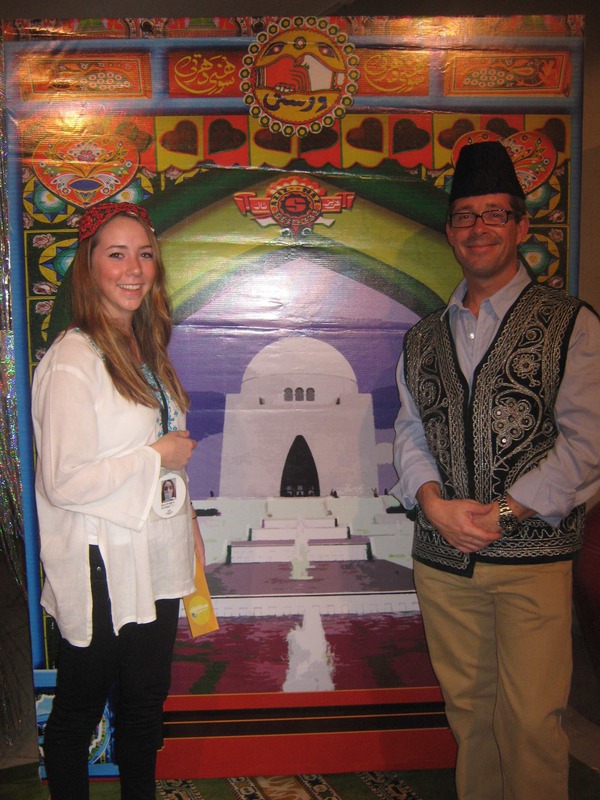 celebrated the different cultures and costumes that exist in Pakistan while posing in front of national monuments. 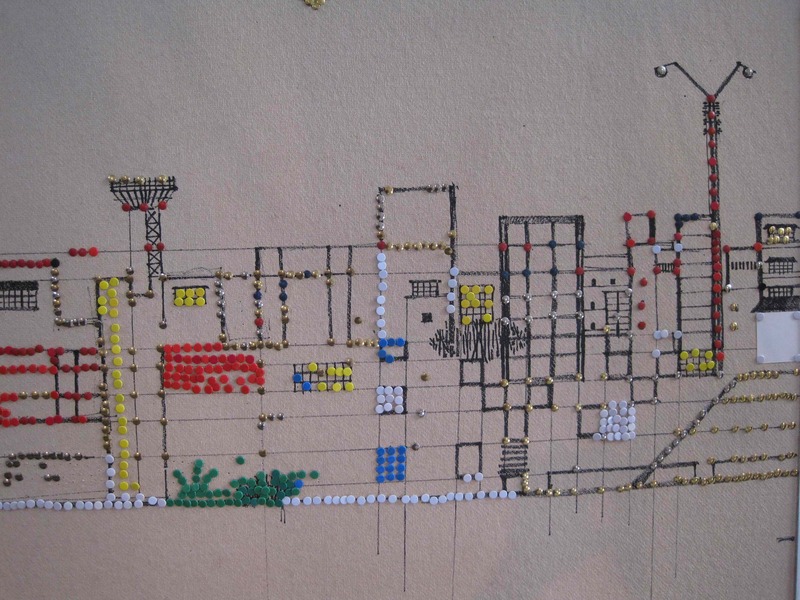 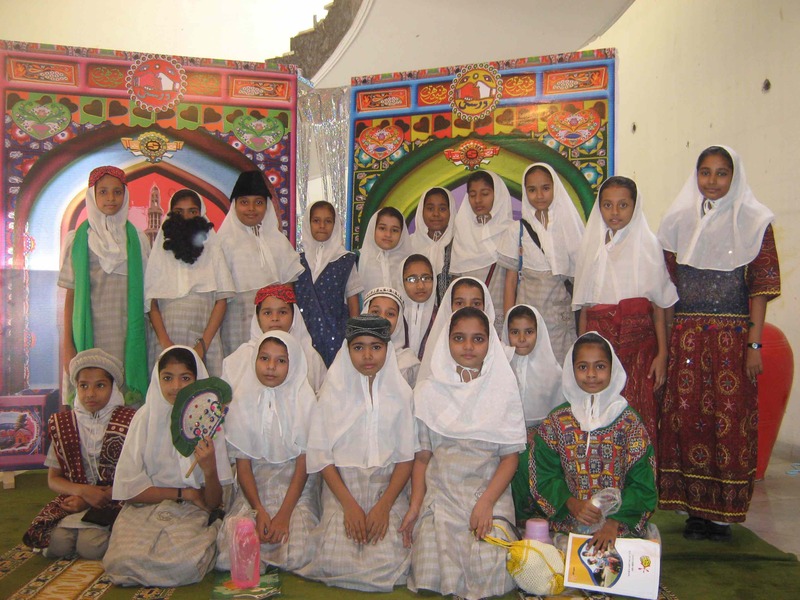 One of the projects Hamari Awami Sawari was based on the idea of completing the cityscape rickshaw pictures with the use of colorful thumbtacks. 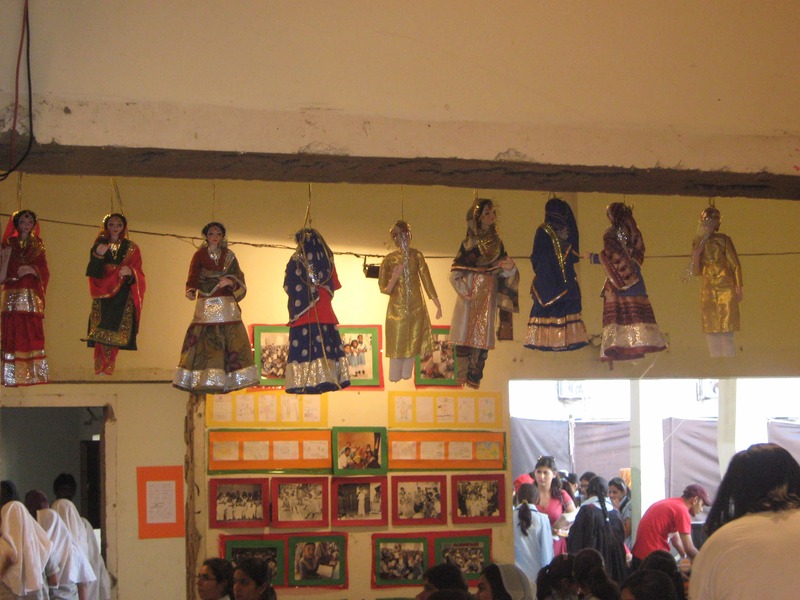 The Shanaakht festival lasted for three days. 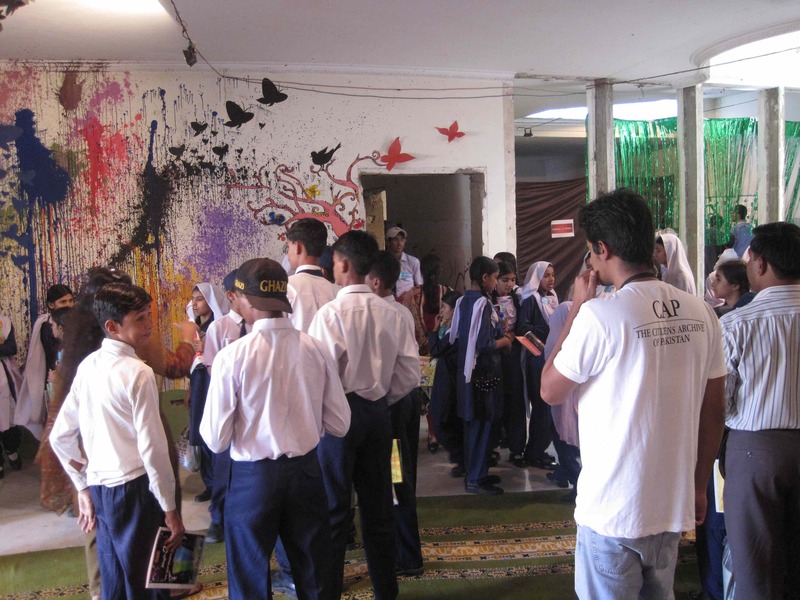 The working team consisted of Salman Faraz, Nadia Niazy, Syed Ammad Tahir, as well as Vasl administrators Hassan Mustafa and Owais Khan.